For modern processors, there are no limitations what processor you should choose. Of course, I am not talking about ARM CPUs but they too have their own ARM Linux ports, Arch Linux ARM (ALARM) being the most prominent. In theory, there could be a few problems with a processor. Starting with kernel 4.3, Linux supports Skylake (6th-gen) i7 processor graphics. Also, any modern Linux kernel supports hyperthreading and dynamic frequency scaling which are the only problematic issues when installing non-supported OS. These were issues when searching for a laptop for Hackintosh, but for Linux it’s not a problem. As always, use common sense when looking for a processor – if you need the best application performance, go for latest 4th-6th gen Intel Core i7 processors: i7-6700HQ, i7-6820HK, i7-7700HQ. Laptops with these processors can be found starting at $650, but for the most part, these powerhouses are usually within $900 – $3000 range. As a mid-range option, U-series i7 (i7-6500U, i7-7500U) and HQ-series i5 CPUs are the best (i5-7300HQ). If battery life is more important than general performance, you can go for laptops under $700 with a more power-efficient i3 or i5 processor. Finally, if you need a cheap Chromebook or something of its type – there are plenty of Intel Celeron laptops to choose from of very similar performance: N2840 , N3050, N3150. These processors dominate the market under $300. Though, if you’re not extremely tight on your spending, you would be better off spending an extra $50 for a laptop with i3-5005U, i3-5010U or i3-5020U processor. These are the cheapest Intel Core processors around but they are 2-3x faster than Intel Celeron models by their PassMark and 3DMark scores. To make matters simple, if you are not going to use your Linux laptop for gaming or working with multimedia – just choose integrated graphics. Intel HD Graphics no longer means that the laptop has crap-tier video – it’s actually suitable to play some basic games including some Windows games on PlayOnLinux or just plain old Wine. Most of you probably already know the reason why I’m steering away from dedicated graphics. These days, “dedicated video card” usually means Nvidia video card. And all Nvidia’s cards come with Nvidia Optimus technology which allows turning off the video card if it is not absolutely needed. This saves A LOT of battery life and is a must if you want to use your laptop on battery for more than a few hours. In theory, it sounds great. It even works in practice… on Windows. There’s no official support for all of Nvidia Optimus on Linux. That makes Nvidia cards a non-working piece of garbage or at least a handicapped version of what you’d be getting if you were using Windows. TL;DR Lack of Nvidia Optimus on Linux transforms all dedicated graphics cards into as good as non-existent or a power drain. No wonder why Linus Torvalds gave Nvidia the finger. You probably are seeing this image for the 100th time. Though, there’s some light at the end of Nvidia tunnel. There were some attempts from Nvidia to add Optimus support but their Nvidia Prime drivers allow switching graphics only manually and only on a session basis. There’s also an independent BumbleBee project which tries to do what Nvidia couldn’t. From all known solutions, it works the best but it has its own caveats and is not “seamless”. After looking at its BumbleBee’s GitHub repository, it seems that BumbleBee hasn’t been updated in 3 years. Ouch… so do not expect many updates on this front. You can read more about the state of Nvidia Optimus support here. Therefore, before you buy a gaming or multimedia laptop for Linux, research if anyone else got their video card properly working on that model. 4 GB can be enough in many cases. Though that depends on your chosen distro and how you’ll be using your new laptop. For professional use, you should start with at least 8 GB and preferably – 16 GB. Touchscreens are supported in Linux but their usage depends on your particular desktop environment. I haven’t tried that many of them but from what I’ve read, Unity, Gnome, and KDE are best when it comes to touchscreen support. 4K resolution (and UHD, QHD, etc) might be problematic to setup. UI elements might be very small and you might need to set DPI scaling before window manager starts. Also, there are vast differences between how Linux window managers handle these high resolutions. I heavily recommend looking through ArchLinux Wiki article on HiDPi. Apart from that, remember to do a basic check of screen metrics – just because it works flawlessly on Linux does not mean it’s good. Knowing panel type (preferably even its subtype), resolution, brightness, contrast and color gamut coverage can all be important depending on your type of work. Usually, these metrics can be found in 3rd party reviews. For the most part, Broadcom Wi-Fi chips are not supported (!). Most other brands play nicely with Linux or can be made to do so. If Wi-Fi does not work out of the box, you might need to install non-manufacturer drivers or to create a custom config. You should always check if there are any reviews, forum posts or if the manufacturer’s tech sheet specifies Wi-Fi card that is used. But be aware, that some laptop models come with different Wi-Fi chips depending on their series and the region laptop was made for. That’s why, if you’re getting a new and untested model, you’re never really guaranteed that Wi-Fi will work out of the box. Bonus. Ubuntu Documentation on Wireless Card Support. The last significant update to storage drivers came in 3.3 kernel which introduced NVMe support for faster PCIe SSDs using NVMe instead of SCSI. You can even add a command line interface to NVMe if you prefer to keep tabs on your hardware. Apart from that, there’s not much left to say about storage. SSD or not, just get what matches your needs. Here’s a list of certified/tested hardware or even entire laptops. There are a few places to buy laptops with Linux already pre-loaded. At the same time, if there isn’t a good deal at the time, these laptops can cost more than the mass-market Windows laptops. If you want more variety, especially in form-factor and design, you’ll need to get a non-Linux laptop with sufficient compatibility and drag it to the Linux realm by yourself. I will not cover these laptops as there are very few options, but if you want a Ubuntu workstation, System76 laptops can be a good place to start with. Getting a laptop with a Linux distro already installed will save you some time and you shouldn’t rule out these laptops out in your search for the best laptop for Linux. 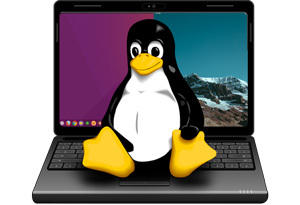 Let’s start off with the links and projects that you should keep in mind before buying a Chromebook for Linux. Crouton. Boot environment for booting not ChromeOS. Google Pixel is definately one of the best laptops for Linux. But considering its specs – it is a bit overpriced – unless you insist on getting a top-of-the-line screen. There is a good list of laptops on Google Chromebook site. Dell has embraced Linux and has been offering Linux-driven models for quite a while. Their latest Ubuntu-infused model is Dell XPS 13 (Developer Edition). It comes with Ubuntu 14.04 (which I guess you’ll upgrade anyways). You also could just get the Windows version of XPS 13 and load your distro to it. There are a few great deals of its refurbished versions if you want to save a nice chunk of money. There isn’t a single thread on any forum where someone doesn’t mention their close-to-flawless experience with Lenovo laptops – especially ThinkPad X series. There’s a whole wiki just on ThinkPad Linux. A few years ago, getting a ThinkPad X series would be an easy and very obvious choice when searching for Linux laptop. But now, most of them are either outdated, or they are niche models that can be substituted with products from other brands. HP is one of the best laptop brands (or at least, was) when it comes to Hackintoshing. They’re not that bad when it comes to Linux too. Right now, I would recommend getting HP Envy 13 or HP Spectre x360 (more about them in a minute). Often Apple’s hardware can play nice with Linux (as OS X is based on Unix). Despite that, there are often some issues with MacBooks and at least in my opinion, there are more dollar-efficient ways to get a good Linux machine. After all, OS X is one of the main reasons to get a MacBook. Thanks for some key hardware tips for best performance. Been researching linux laptops for my cartoon business and your blog has helped me make a more educated selection process. I’d add the new Dell Precision 5520 15″ Ubuntu preinstalled laptop to this list, alongside the XPS 13. It’s nicer but more costly than the XPS 15. Thanks for your great article! I am in need of a powerful laptop that would be suitable for programming/hacking. I am currently using Dell inspiron 15, 3000 series and not comfortable with it as it’s not fast and most of the features aren’t working. I would prefer an HP laptop with Kali Linux operating system with good processor and other features. I will appreciate you kindly recommend some to me so I choose the one to order for. I would also like to know the terms and means of payment.